Please type your desired tags, e.g. Physics, Cognition and Neuroscience, Biochemistry, Art & Science, GRO-seq, Research Methods, Online Education, Supply Chain, Gerontology, Social Change, Marriage, Childhood Sexual Abuse, Early American Literature, World History, Translation, and etc. "Matching Words and Pictures: Problems, Application and Progress"
2006–2006	9th International Conference on Computer and Information Technology (ICCIT), 2006. Prototype Geospatial Data Integration Framework for Police Blotter Crime Analysis, Raytheon, Latifur Khan (PI), and Bhavani Thuraisingham, July 2007 to December 2007, $100,000. Data and Applications Security: Research Directions and Opportunities, National Science Foundation (NSF), Bhavani Thuraisingham (PI) and Latifur Khan, September 2007 -- August 2008, $49,999. 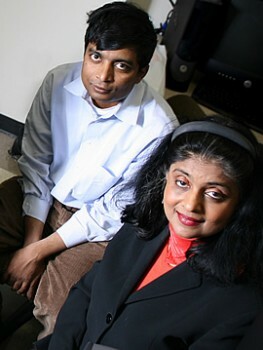 Information Operations Across Infospheres, Bhavani Thuraisingham(PI), Ravi Sandhu and Latifur Khan, Air Force Office of Scientific Research, January, 2006 to December, 2008, $300,006. Design and Development of Semantic Web and Data Mining Technologies for Geospatial Data Bhavani Thuraisingham(PI) and Latifur Khan, Raytheon, 200,000$, June, 2006 to June, 2008. A Distributed Component Repository for Rapid Synthesis of Adaptive Real-Time Systems, Farokh Bastani, Latifur Khan, Edwin Sha and I-Ling Yen (PI), National Science Foundation, Sept, 2001 - Aug, 2004, $499,866. Feature Extraction for Finding Images/Video, Latifur Khan(PI), Nokia Research Center, Irving, Texas, June, 2005 to November, 2005, $30,000. Ontology-based Information Selection and Storing XML data into Databases, Latifur Khan (PI), SUN Academic Equipment Grant Program, August, 2002, $87,265. University of Texas at Dallas researchers will play an important part in a $7.5 million contract designed to produce greater communication among government agencies. Part of the federal government’s highly competitive Multidisciplinary University Research Initiative (MURI), the five-year project is based on the premise that enhanced information security will persuade government workers to share information with one another more freely, confident that it won’t get into the wrong hands. Let’s say you’re looking for a one-bedroom apartment in northeast Dallas that has a grocery store, Catholic church and health club within walking distance, costs less than $800 a month and has both high-speed Internet access and a low crime rate. Finding that dream apartment could take awhile right now. But technology under development by UT Dallas researchers aims to speed such a search, enabling people to find the perfect place today and move in tomorrow.Is that soon enough for you? Whether you’ve just arrived to start studies at a university or you’re expected to start a new job on the other side of the country on Tuesday, there’s a good chance that sooner or later you’d make use of such technology. 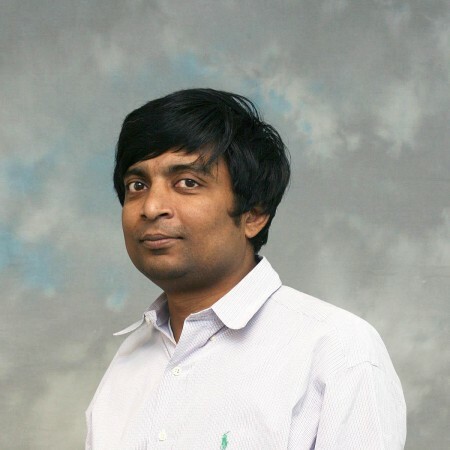 Which is why Latifur Khan and his team of graduate students at UT Dallas are working to provide options that take such Web searches to the next level. Dr. Latifur Khan, et al.